Alii Villa Condo #225 - Hawaiian Paradise with an Ocean View! Enjoy this charming condo in the Ocean Front Complex of Alii Villas, located on Kailua-Kona's famous Alii Drive. This one bedroom, one bath unit is decorated with a true Hawaiian Flair. Enjoy the ocean view from the lanai with your your morning coffee or afternoon cocktail. You can also see the ocean from the large pool. The built-in gas barbecue is located near the pool which also has an entertaining pavilion where you can watch the amazing Kona Sunsets and view the Whales and Dolphins swimming by! The Kailua-Kona Coast has the most colorful and spectacular pink, lavender, and orange sunsets in Hawaii. Maybe you’ll be lucky and spot the famous 'Green Flash” at sunset, as the sun dips behind the horizon. You can watch the incredible Kona sunsets right from your lanai, as well as the cruise ships, parasailing, whales and dolphins. The Kailua-Kona Historical Village is a 15 minute walk from Alii Villas. The Village is very quaint, with lots of charm, history and good shopping right along the water’s edge. 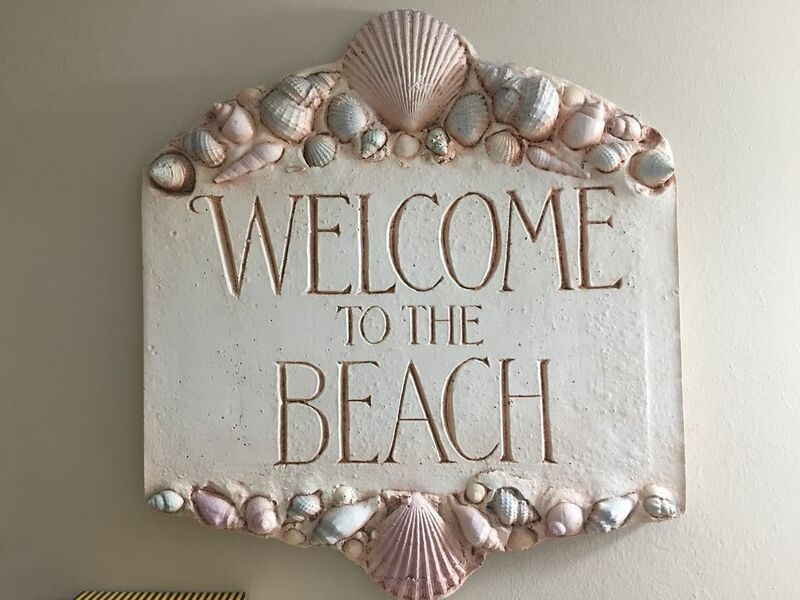 Some of the activities you can find in the Village and nearby are: beaches, luau’s, farmer’s markets, art galleries, jewelry shops, restaurants, boating, snorkeling, scuba diving, surfing, boogie boarding, and deep sea fishing…Just about every water sport you can think of! There are also several great golf courses nearby. There is so much to do to stay active, or you can do nothing and just lounge at the pool. This is a non-smoking, no pets property. Please feel free to contact us to find out how we can help make your Hawaiian Vacation Dreams come true! I live in California with my family. I have been traveling to Hawaii for many, many years. I love everything about Kona and have a deep respect for the local culture. I bought my condo to share with my family and friends. I am not an investor. Everything about my condo reflects how much I love it..It is home away from home. I love the location of Alii Villas. It is close enough to town to walk or ride your bike..yet far enough to be out of the congestion of down town. You will enjoy the comfort of my condo. It has everything you likely have in your own home. The furniture is comfortable. The view of the Ocean from the lanai is beautiful.You can hear the ocean as you eat your breakfast in the morning. You can see dolphins as you drink your coffee.You can be at a local beach in 5 minutes. You can come home after a long day at the beach and take a shower in a beautiful new shower with flat rocks that massage your feet. You can walk down to the waters edge and watch the sunset..
We had the most amazing time in the Kona area! The condo was very clean and has everything you need for a relaxing stay! The location on the map indicates it’s location is downtown however it’s about a mile+ away. Parking at the condo and downtown was easy. We will most definitely look at booking this condo again! This second story unit was very comfortable and had all the amenities we needed. When we booked this the VRBO map indicated this unit was located right in downtown Kailua Kona but It is actually located about a mile and a half south of town. It has a viewing area for sunsets, we also saw humpback whales and spinner dolphins from this area.If we are on the Big Island again we would consider staying here. I cannot even begin to find the words that adequately describe how awesome our time in Kona was. Booking this unit helped to make everything even that much more awesome. Communication with Krista was quick and accurate. The unit itself was AMAZING! It had everything we needed (and more) for our two week stay. The location is perfect, with the ocean just steps away from the door. The unit was immaculate, as was the condo grounds as a whole Neighbors were friendly and helpful. You can easily walk to the main strip of Kona from here. With the location of this unit being south of the main action, it meant the nights were quiet on the lanai. What struck me most was how every evening, as the sun was starting to set, all of the neighbors who were home, would all gather at the benches located at the end of the parking area, right on the ocean's edge. Everyone was talking to one another, charing stories of their days, where they were from, and of course, enjoying the most amazing sunsets. If you are thinking of staying in Kona, I HIGHLY recommend this condo! Everything during our stay was excellent! It was the greatest!! Worth every bit! The condo itself had everything you would need. Perfectly. We are so happy you enjoyed your visit and hope to have you return in the future! Great condo, great location. Enjoyed our stay. 8th Christmas trip to Kona. Our most satisfactory experience. The Kona region of the Big Island goes beyond Hawaii's traditional offerings. Sure, there's ample sun, surf and sandy beaches, but the Kona coast features so much more. Step back in time and explore Kona's history, taste some of the world's richest coffee and view marine animals in the clear waters of the surrounding Pacific Ocean. These activities and more a wait along the Big Island's Kona coast. Location: Kona is one of seven regions on Hawaii's Big Island, encompassing a 60-mile stretch of the western coast. The Big Island sits at the southeastern end of Hawaii's island chain, and is 4,038 square miles, double the combined size of Hawaii's other seven islands. History: Kailua-Kona, also called Kailua-Kona Town, is a city in the Kona region and was, at one point, home to King Kamehameha in the early 1800s. The Historic Kailua Village in Kailua-Kona pays homage to Kamehameha and other Hawaiian royalty with tours of historic sites such as Hulihee Palace and Mokuaikaua Church. Also located on the Kona coast is Kealakekua Bay, where captain James Cook first landed on the Big Island and eventually was killed, in 1779. Historical Parks: Kealakekua Bay State Historical Park has a monument to Captain James Cook. Near Kealakekua Bay is the 180-acre Puuhonua o Honaunau National Historical Park, which was once a sacred place of refuge. The Kaloko-Honokohau National Historic Park is a 1,160-acre park just north of Kailua-Kona that is home to historic temples and ancient petroglyphs. Beach Activities: There are many white-sand beaches and ocean activities available on the Kona coast, from snorkeling and surfing to whale watching and dinner cruises. The waters along the Kona coast are calm and clear, providing perfect visibility of green sea turtles, fish and other marine life while snorkeling and scuba diving. There are surfing schools that offer individual and group lessons, sport fishing charters, dinner cruises and boat tours that will put you up close to whales, dolphins, manta rays and green sea turtles. Things to Do: There's plenty to do in Kona aside from beach and ocean activities. Kona's small towns have many shops and galleries. Take a tour up to the 14,000-foot summit of nearby Mauna Kea, either during the daytime, to enjoy spectacular views, or at night, to take in some stargazing. Visit Kona in October to take in the annual Ironman World Championship, a long-distance triathlon that attracts some of the world's top athletes. Kona Coffee: Kona has many excellent restaurants that offer dishes featuring fresh seafood from the Pacific Ocean, but the real treat on this part of the island is Kona coffee. There are many coffee farms in Kona, the only place where Kona coffee beans are grown to produce 100 percent pure Kona coffee. The conditions in Kona are just right for growing these rare beans--elevation, constant cloud cover and rich, volcanic soil. Aside from taking home some of this famous beverage, visitors can tour many of the area's coffee farms, and visit the Kona Coffee Living History Farm. Hawaii Tax Number W97222617-01 Tax rate additional 14.4166% Rates are subject to change until booking in confirmed and paid.